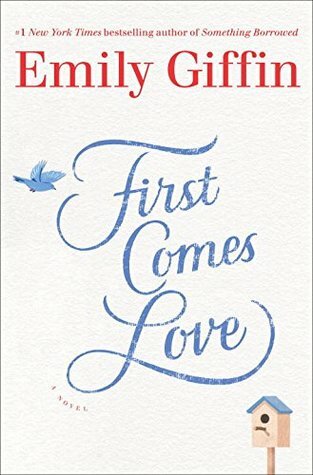 I’ve read many Emily Giffin books in my time…This was nothing like any of the previous books that I’ve read by her. If you’re looking for some silly lighthearted reading, this isn’t the book I would recommend to you. I have to admit, I was looking for silly and lighthearted when I picked up this novel…so was a bit disappointed. This is a hard book to review. Not just because it was different from I expected. I just found it extremely hard to get into. At about 20% I was wishing I hadn’t even started it. I can’t say there was much of anything I was enjoying. I didn’t like the characters. More so, I hated the way they treated one another. At about 40% – 50% things turned around and I didn’t want to put the book down. However, I can’t stress this enough, I absolutely HATED one of the characters, and as much as I tried to make allowances for her behaviour, I simply could not set my dislike aside. Even as I finished the last page, I still was flabbergasted at an adult acting like she did. I’m not sure if Griffin meant for me to feel that the character that was presented as the most unsettled and immature, in my opinion, turned out to be more mature than the majority of the others, including the one that was settled, smart, and level-headed. Perhaps it should be noted at this point that everyone that leads a *perfect* life might, in fact, be hiding just how messed up their life really is…and those that seem scattered, and unsettled, might in fact be solid, steady, and perfectly okay. Yes, the second half of the book is really engaging and you’re invested in the characters, and was well worth the time of the reader…however, I don’t think it should take half a book for things to start being interesting.